PhonerLite is a simple to configure, easy to use, softphone application built for the Windows platform. 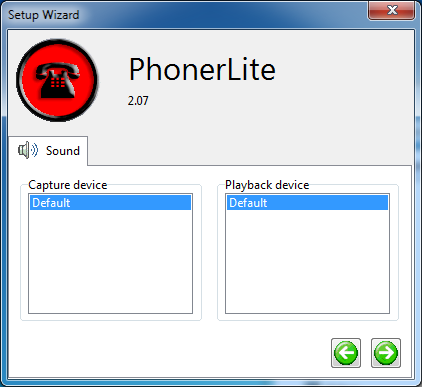 This setup guide is based on version 2.07 of the softphone under the Windows 7 64-bit environment. Other platforms should have a similar interface. This setup guide assumes you have properly installed the application and sound is also working properly prior to the configuration process. 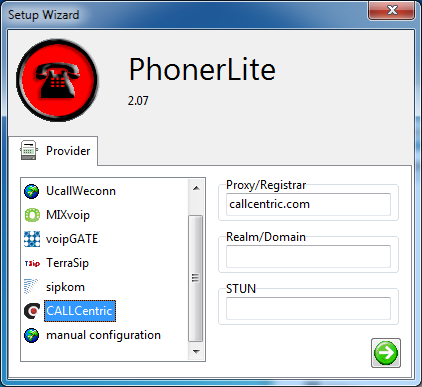 Upon launching the application, you should be greeted with a Setup Wizard. 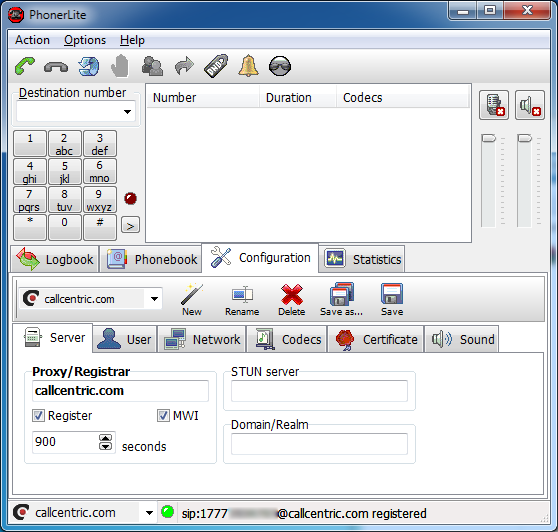 From here, select Callcentric on the left hand menu. Proceed by clicking on the Green arrow on the right hand side of the application. Next we will configure basic sound device settings. 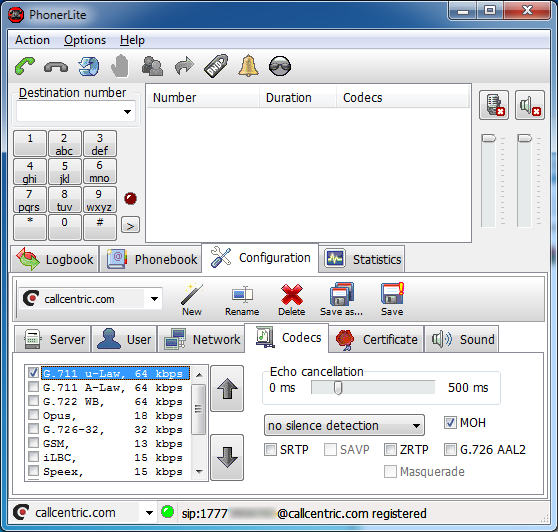 In most cases, you would select the Default capture device/ Playback device, unless you have a specific sound device on your computer that you would like to use in conjunction with your softphone (i.e. if you would like to use a specific microphone). Click on the Check button to complete the Setup Wizard. 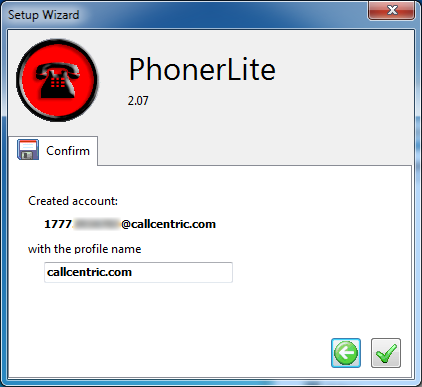 Once you have completed the setup wizard, you should be greeted with the dialer. For codec configurations, first please locate the Configuration tab found on the middle of the interface; and locate the Codecs tab.